In Peru, roasted coffee sells for eight times the value of raw coffee. Café Compadre is a social enterprise that empowers coffee farmers in the central Peruvian jungle by providing them with solar-powered technology to roast and sell their roasted beans. 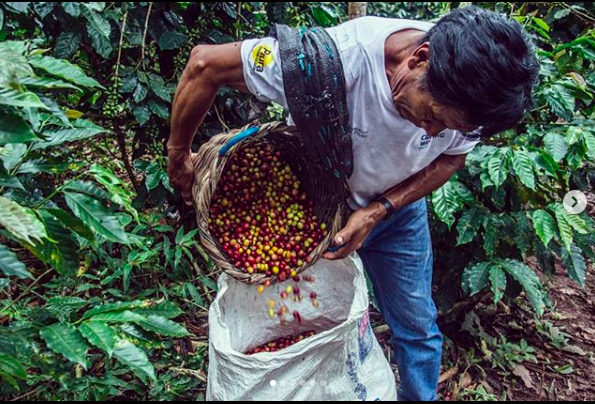 Café Compadre purchases the roasted coffee and packages, markets, sells and distributes the coffee – offering the small coffee producers a dignified and greater source of income, while shrinking their ecological footprints. Meet the Café Compadre team. Click on the image above to watch a video about how the company was started and how they're improving the lives of coffee farmers in Peru. Café Compadre joined the NESsT portfolio in 2016. The company's founders developed the solar-powered coffee roaster technology while studying at top universities in Peru. Café Compadre was incubated as a start-up by UTEC Ventures, a prestigious program from the University of Engineering and Technology (UTEC). NESsT invested in Café Compadre to support its growth as it seeks to validate its technology and business model. In its first year in the portfolio, Café Compadre leveraged support from NESsT for the technical and functional validation of its coffee roaster. NESsT also advised on the design and execution of the business model, which results in increased margins for coffee producers. To further help Café Compadre grow its business and social impact, NESsT invested financial capital in a new processing plan that uses solar power for roasting coffee beans and working capital to meet its ongoing operational and sales needs. The NESsT team in Peru is continuing to provide tailored consulting and mentoring on team management, marketing strategies to accelerate sales, and financial tools to improve business management and growth.